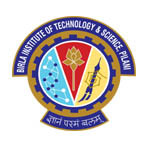 BITSAT 2019 cut off will be released by the Birla Institute of Technology and Science (BITS) University. BITSAT is the university level entrance exam to get admission into B.Tech, B.Pharma and M.Sc degree programme of BITS, Pilani and its affiliated campuses Goa and Hyderabad. The cut-off will release stream-wise for all offered streams in all the campuses. Cut off is decided by the difficulty level, pass proportion of the candidates and the total number of candidates appeared in the exam. In this article, we have mentioned the complete details related to the BITSAT cut off 2019. BITSAT entrance examination will be conducted through online mode. The cut off will release through online mode after the announcement of the result. The concerned authority will release the branch wise cut-off for all degree programme offered at all campuses. The cut off is released, so that candidates can be admitted to the course as per the marks scored by the candidates. If any candidate will fail to reach the cut off marks, then he/she will not be considered for admission in that particular course for which they have applied. BITSAT result 2019 will be announced after the successful completion of the exam. The result will be published by the BITS, Pilani exam conducting authority through online mode only. No other mode will be made available to access the score card. BITSAT counselling 2019 is organized through online mode by filling the admission form. The admission form can be filled only through online mode. The counselling will take place simultaneously in three campuses. The exam conducting authority will release the branch wise cut off for all offered courses in all three campuses. The appeared candidates can check the cut off marks as per the courses for which they have applied. The BITSAT cut-off will be released after the declaration of written result. For getting admission in the particular course it is necessary to score the cut-off marks. Here, we are providing the cut-off for various previous years. However, candidates are also informed that cut off can vary every year depending upon the difficulty level of exam and highest rank scored by the candidate. The authority generates the score report of the individual candidate after conduction of the BITSAT. The marks report contains the marks scored by the candidate in the entrance examination. The obtained marks, number of total correct and incorrect answers can be generated on the same day just after the completion of written test. Candidates can print the score report after completion of the exam. Candidates can also check the merit list for getting admission in the institutions. The result will be published by the BITS, Pilani exam conducting authority through online mode only. BITSAT result 2019 can be checked from the website. The authority does not send the hard copy of the result/score card to any candidates by post or any other means. Candidates can check the scored marks in the examination which is mentioned on the result. Candidates are advised to keep the result till the admission procedure. If you have any other queries about BITSAT 2019 Cut Off, you can write your queries in the comment box given below. How much marks of bitsat examination…??? Is there any minimum percentage required in CBSE board exam for getting admission in BITS. This the 2nd iteration cutoff for admissions may be around 256-261. Sir, my score in bitsat is 217 can i get good college with well branch or i shall repeat after 12th. I have secured 116 marks in BITSAT examination. Will I get seat in colleges. My daugter has got 236 marks.so what group she will get.pls confirm me. Ihave secured 147marks in BITSAT examination,will I get seat in college. My marks in BITSAT-2018 is 215. Am I eligible for any of the branches in BITS? Sir what is the seat distribution for computer science in all campuses? I got 71 marks in bitsat . Will I get admission in bits. You have to appear in the counselling to know. I have secured 148 marks in BITSAT examination. Will I get seat in colleges. will there be variations in cuttoff according to this times paper? I have applied for the bitsat examination. Do I have to specify as to which college I’m seeking admission into ? Because I want to get an admission into the goa campus. Can I choose the campus later ,if I score more than the cutoff score or did I have to mention it somewhere in the application ? You can select campus during counselling. Today My daughter wrote the Bitsat end of the Exam she got 95.what is the cuttoff marks?